Posted by Carolyn Burns Bass in animals, children's literature, e-books, paranormal, self-published authors, weekly topics. MediaMonday for July 30, 2012: Ebook Pirating. Source media from GalleyCat, July 27, 2012. Kids and summer reading go together like watermelon and picnics. Don’t they? On Wednesday and Friday we have guest hosts to lead discussions on great summer books for middle grade readers, including their own recently published novels. 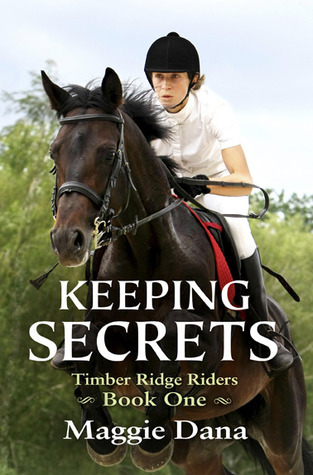 Wednesday brings Maggie Dana into #litchat to discuss her Timber Ridge Riders line of fiction for young horse-lovers. The series includes four titles, previously published in print, but revived and now available as ebooks. Timber Ridge Stables is the home away from home of Kate McGregor, her best friend Holly Chapman, and their arch rival Angela Dean. Filled with action and intrigue, this new series is a must read for savvy girls who love horses. Dana’s polished prose and insightful characters take readers along with Kate and Holly as they dive into a stormy summer filled with secrets and lies and impossible dreams. Maggie Dana took her first riding lesson at the age of five and hated it so much, she didn’t try again for another three years. But all it took was the right instructor and the right horse and she was hooked for life. Her new riding stable was slap bang in the middle of Pinewood Studios, home of England’s movie industry. So while learning to groom horses, clean tack, and muck stalls, Maggie also got to see the stars in action. Some even spoke to her. 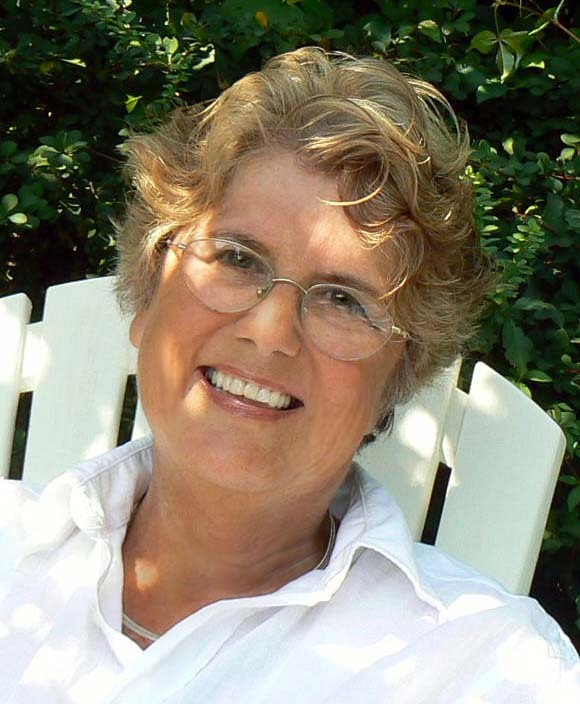 Born and raised near London, Maggie now makes her home on the Connecticut shoreline where she divides her time between hanging out with the family’s horses and writing middle grade novels and women’s fiction. Her award-winning women’s fiction novel, Beachcombing, is now available as an ebook, published with the new title, Painting Naked. She is currently at work writing the next book in theTimber Ridge Riders series. Follow Maggie Dana on Twitter: @maggiedana. 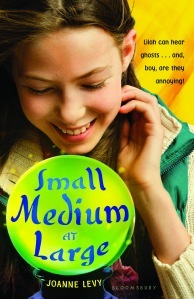 Friday’s guest host, Joanne Levy, is author of Small Medium At Large, her first published novel. Small Medium At Large features a cast of memorable characters from both sides of the grave. When she’s struck by lightning at her mother’s wedding, Lilah Bloom receives a special gift. She can hear and speak to ghosts. Her beloved grandmother is concerned for Lilah’s dad, who has still not rebounded from the divorce from Lilah’s mother. When her grandmother charges Lilah with helping her father find a new wife, and when word gets around that Lilah can communicate to the dead, Lilah’s life goes from ordinary to spectacular. Joanne Levy’s love of books began at a very early age. Being the youngest and the only female among four children, she was often left to her own devices and could frequently be found sitting in a quiet corner with her nose in a book. After much teenage misadventure, Joanne eventually graduated from university and now spends her weekdays as an executive assistant at one of Canada’s big banks planning meetings and thwarting coffee emergencies. When Joanne isn’t working, she can usually be found at her computer, channeling her younger self into books. 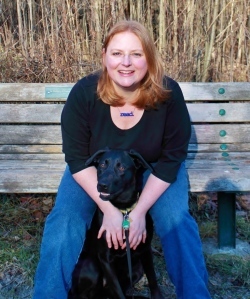 Joanne lives in Ontario with her husband and kids of the furred and feathered variety. Watch the video trailer for Small Medium At Large. Follow Joanne Levy on Twitter: @JoanneLevy.